policy will not provide you coverage while you’re working in most cases. To be sure you’re covered, you will need a specialized insurance policy geared towards ridesharing. This insurance policy provides coverage while driving for any Transportation Network Company, such as Uber or Lyft, whenever Uber or Lyft does not cover your auto insurance. This policy provides coverage for drivers who participate in ride sharing activities. 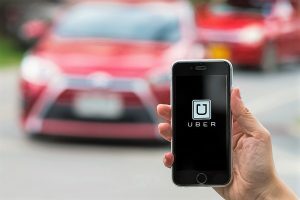 A ride sharing activity can be described as someone who uses his or her own vehicle to drive passengers or property for a fee on behalf of companies like Uber or Lyft. This auto insurance policy applies to the stated coverages during the period of time when the driver is available for hire until the driver accepts a request for transportation of persons or property for a fee at which time, Uber’s or Lyft’s insurance policy takes over. Call Insurance Brokers of Arizona at 480-812-1998 for a quote!